Glanbia recently got some excellent drone footage of the gluten-free oat harvest. According to Rob O’Keeffe of Glanbia the gluten-free oat harvest is nearly complete with the Glanbia harvesting team making great progress through the gluten-free winter and spring oat crops. “This year Glanbia have two Claas Lexion combine harvesters and two large chaser bins dedicated purely to the gluten-free oats harvest. “These combines are being supported by a fleet of articulated trucks who haul the crop to Balitore for testing. Glanbia has its own dedicated harvesting fleet to ensure that no contamination of wheat and barley can be ensured. “The output of this harvesting fleet is impressive and the harvest should be completed shortly. To date, yields and quality have been fantastic with very little rejections. There has been no wheat or barley found in any of the tested samples which is a credit to Marie O’ Toole and her team,” he said. 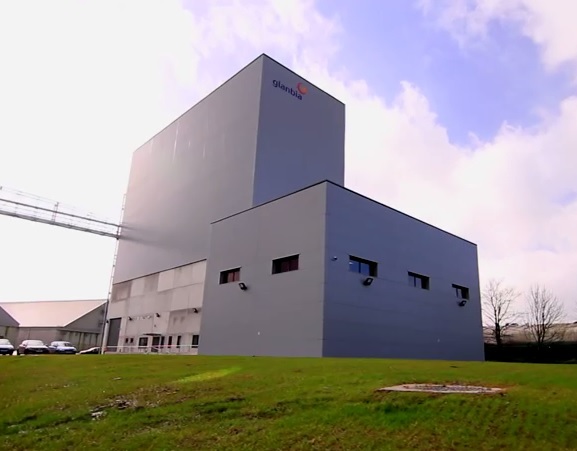 Glanbia recently opened a new state-of-the-art oats processing facility in Portlaoise, Co. Laois. The ‘oats only’ processing plant is the first such facility to be built in Ireland in recent years and has significant capacity for export to US and European consumer food markets.